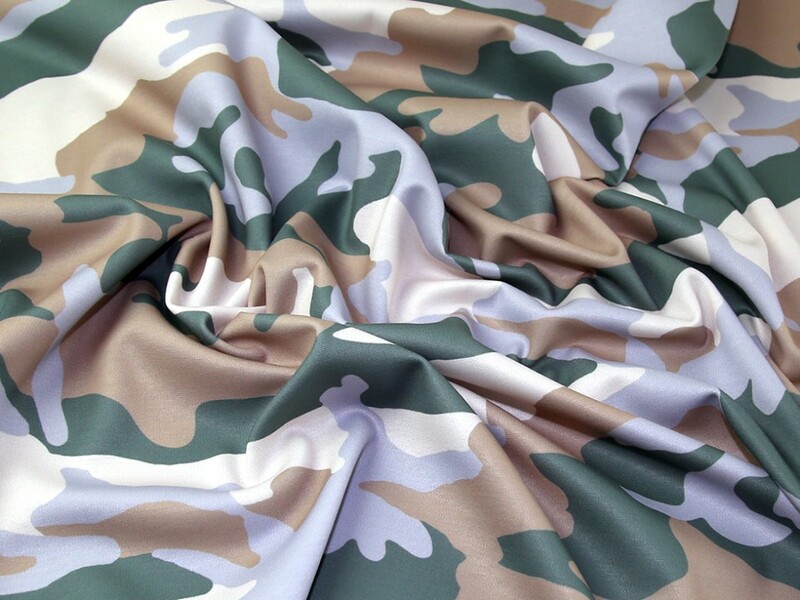 This gorgeous ponte roma jersey dressmaking fabric has a beautiful soft and smooth handle and this pastel camouflage print is really cute. This fabric would be perfect for making into tops, cardigans, skirts, light weight jackets and dresses. As part of our clearance range we are able to bring this fabric to you at a much cheaper price than the RRP, but only whilst stocks last! I was a bit nervous about this but it's really nice. Feels soft - should be comfortable against the skin. I'm imagining a slim fitting dress with a slash neck - either sleeveless or possibly with a plain sleeve picking out one of the colours.